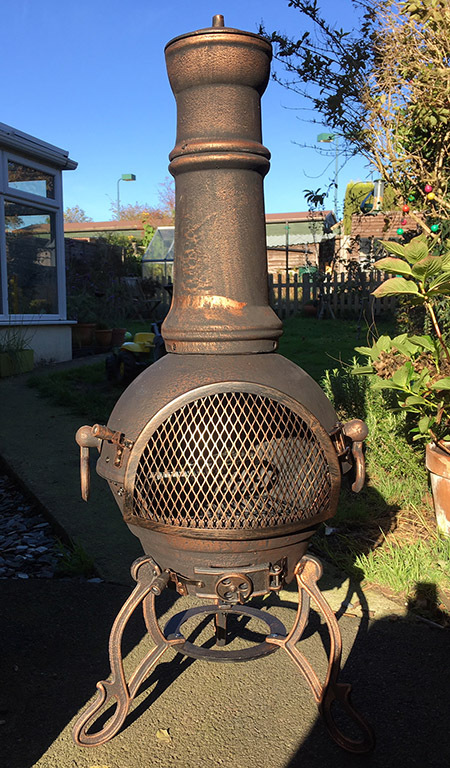 Last month I received an email from online retailers chimineashop.co.uk asking if I would like to review a Gardeco Toledo Cast Iron Chiminea. Recent review requests had either been too poor to feature on our site* or too inappropriate** but a chiminea sounded like an ideal piece of kit for our digging and swigging remit. I’ve always fancied having a go on a chiminea to see how effective they are, but have never got round to trying one. Rich, however, is something of an expert having written about the subject for the Independent – an article that included the Extra Large version of the Large model that chimineashop.co.uk were offering up for review. The Gardeco Toledo Cast Iron Chiminea arrived a week later, a heavy square box that clearly meant some self-assembly was required, but this task had to wait for the duration of a holiday and a few weekends of autumnal rain. Eventually an unseasonably warm Sunday came my way and chiminea construction and testing began. Initially the instructions looked too sparse for the amount of nuts and bolts laid out on my carpet (they recommend building on a soft, flat surface to avoid damage before transporting outside) but when assembly began I soon realised there’s very little that can go wrong: it’s very obvious where each bit fits. Despite the relative simplicity of construction it still took a little over an hour to fix it all together, with most of the time taken by tightening nuts in increasingly hard to reach places. Only one minor cuss was emitted during a slightly awkward left handed spanner (provided) manoeuvre. Before describing how well it performed it’s probably worth briefly explaining what chimineas are. Originally they were a Mexican cooking oven, designed for heating up all sorts of Mexican nosh within the house***, but more recently they’ve been adapted to become a device to provide outdoor heating in the chilly British climate, with the option of cooking being an extra on some models (including the one I was about to test). They work very much like the living room stove, with a large belly that contains the fire, lit on a grate above the base, and attached to a chimney that funnels the smoke northwards. Vents near the base allow air to flow through the chiminea and can be used to control the intensity of the fire. Being made of cast iron, our chiminea gets extremely hot (proper gloves are recommended) meaning it retains heat long after the flames have died down. The instruction booklet recommends that no toddlers or pets are anywhere near the chiminea when it’s in use. I have both so waited for the former to be tucked up in bed before striking the match, by which time it was late and I had already eaten, so the handy pull-out cooking tray would have to be tested another time. However, the dark Autumnal evening provided the perfect opportunity to see how effective it was as a source of heat. The fire lit easily enough using the same firelighter and kindling method I use on the stove and there was ample room in its belly to get a good supply of wood loaded into it (you can also use charcoal as a fuel). Flames were roaring in no time and even from the initial knidling burn I could feel the heat. The Gardeco Toledo Cast Iron Chiminea is a solid, impressive structure that looks perfectly at home in the garden (in Rich’s piece he describes is having “a certain traction engine aesthetic”) and with a glowing red belly of fire it makes a great focal point to an evening outside, with the heat more than taking the chill out of the air. The chiminea now sits beneath its custom designed rain cover waiting for the next time I’m ready to stoke up the flames. I’m very much looking forward to cooking on it, so if anyone has any cooking suggestion then let me know and I’ll fire it up again. ***do not attempt to use one inside. Ever. The post What is a chiminea and how do I use one? appeared first on Two Thirsty Gardeners. Down on the plot, we’ve been busy battling an unwinnable war with the powdery mildew that has blighted our pumpkin patch. We’ve not really been paying attention to the Pablo beetroots that we shoved behind our somewhat out-of-control Jerusalem artichoke jungle, and after weeks of favourable weather, our purple Pablo pals have ballooned to the size of knobbly cricket balls. We usually coax our beets into making a magenta-hued wine, but this year we decided instead to pummel them into chutney. Not just any old chutney, mind…. our effort is fine and fiery thanks to a supporting cast of scotch bonnet and cheyenne chillies, freshly plucked from the bowels of our mini poly tunnel. 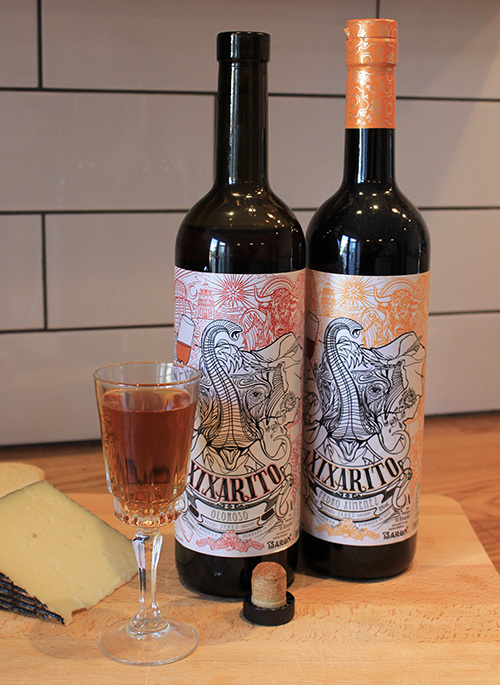 500ml red wine vinegar. Or cider vinegar/malt vinegar if you fancy. Lob the ingredients into a large cooking pot, put on the lid and bring to a simmer. Cook for 45 minutes, removing the lid for the last 10 minutes to help thicken your chutney. Prepare your jam jars by sterilising them. You can do this by either (a) bunging them in a dishwasher at the highest temperature setting. (b) Wash the jars in soapy water, then place them in an over at 140 ºC/210 ºF/Gas Mark 1 for 15-20 minutes. Or (c) use a sterilising solution such as VWP. Spoon your champion chutney into the jars and if you can resist temptation, allow to mature in a cool cupboard for a month. For those wanting a less spicy, ginger-heavy chutney*, try Nick’s effort, here. * And in many ways, an inferior chutney. The post How to make beetroot chutney appeared first on Two Thirsty Gardeners.